When you are working on the design of invitations for an event, whether it’s for a wedding or a business event, it is important to make them stand out. If you are someone who wants to catch the eye of your potential guests, then choosing an interesting theme is a great idea. We have searched the internet far and wide for some amazing unique different invitation themes and in this blog we are going to be sharing our favourite ideas with you! If you are a big music fan, the perfect theme could for you could be an invite which looks like a concert ticket! This could use imagery from your favourite band or even you and your partner rocking it out! A theme like this is likely to make anyone smile and could bring back great musical memories for your friends who have shared experiences with you over the years. This brilliant idea is both extremely fun and quirky. Give your guests a lottery experience by having them use a coin to scratch off and find out where the event location is. It’s not often people actually get to feel joy from a scratch card so this idea is sure to be a hit with anyone who is lucky enough to receive an invite! This idea is one that could suit all kinds of people with different interests. Your invites could be designed to look like playing cards, custom made with your own initials and pictures replacing the usual icons found on a card. This idea is perfect for anyone who has a love for magic, poker, card games or even Vegas! 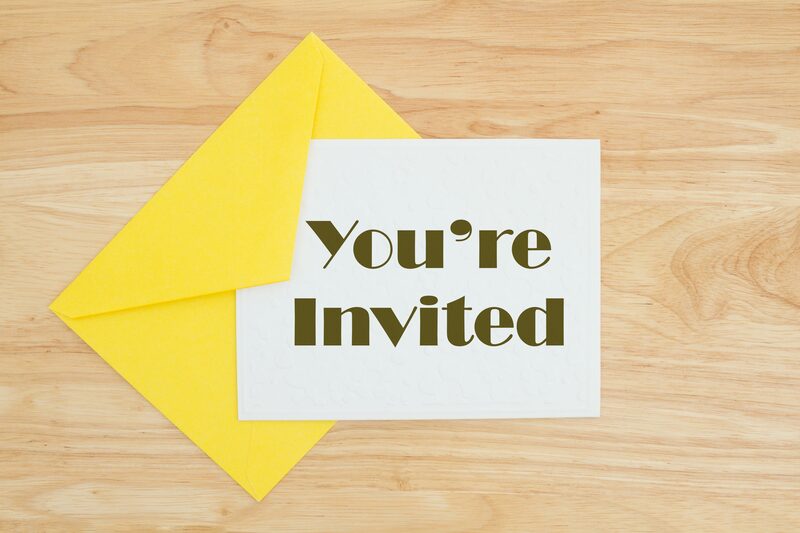 At Lintons Printers we can offer our advice on the design and printing of your invitations, while also offering our printing service at great competitive prices! For more information visit www.lintons-printers.co.uk or call us on 01388 762197.